The New Year has reared its ugly head and now it’s time to start jotting down all our ambitious plans to tap into our inner rock stars and become happier, slimmer, richer and more organized! Of course, we can always start anew anytime of the year, but there’s something about January 1st that evokes a dawn of reckoning. Hey, who am I to judge? 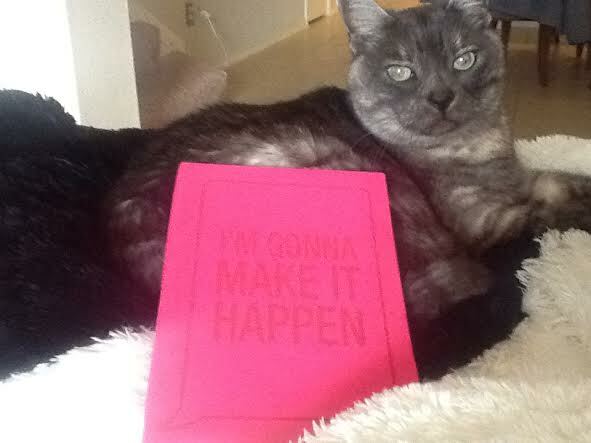 I’ve got my own little pink notebook filled a laundry list of lofty ambitions to rock it out in 2014. If it takes the New Year to finally ditch those cancer sticks, or to start volunteering at the local animal shelter – you go with your bad self! 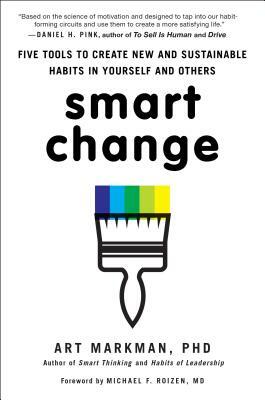 In his brand new book Smart Change, UT Psychology Prof Art Markman will show you the way. I was lucky enough to snag an advance copy (job perk! ), so I can tell you that it definitely contains some pearls of wisdom – especially for those who need some help in the self-control department. Read on for more details about the book, which will drop on Jan. 7. If you’re an Austinite, be sure to catch his book signing event at BookPeople on Jan. 9! In this age of instant communication, people often feel the pressure of being “always on.” How can this book help us adjust a balance between technology and our daily lives? What sets this book apart from other behavior modification self-help books? There are a lot of books out there on habits and behavior change. Some of the books describe how people form habits, but they don’t provide specific tools to help you change. Other books present a model of behavior change that is presented as a one-size-fits-all approach to developing new behaviors. Posted on January 1, 2014 by Bubble Bubble Books and Trouble •	This entry was posted in Author Interviews and tagged art markman, changing bad habits, new years resolutions, self help, smart change by art markman. Bookmark the permalink. Psychology really interests me and this sounds like a book that has some good ideas for all of us especially at this time of year when we are motivated to make those types of changes. He has a good point about trying to change habits and not replacing them with something else… food for thought from your review alone. It sounds really interesting, I have read other works on habits and the science behind them is fascinating. I always wonder though about the social aspect. I don’t have a mentor and many of the people that I work with don’t have the habits I want to develop. Not really sure how you go about finding these new social relationships. For example, if one of the things you want to change is shopping, yet all of your closest friends love to shop and that is how you socialize…what do you do about that? Thanks for the comment! I’ve found the most effective strategy is keeping tabs on behavioral patterns through journaling. You can download free journal prompts on the Smart Change website if you’re interested. Happy 2014!